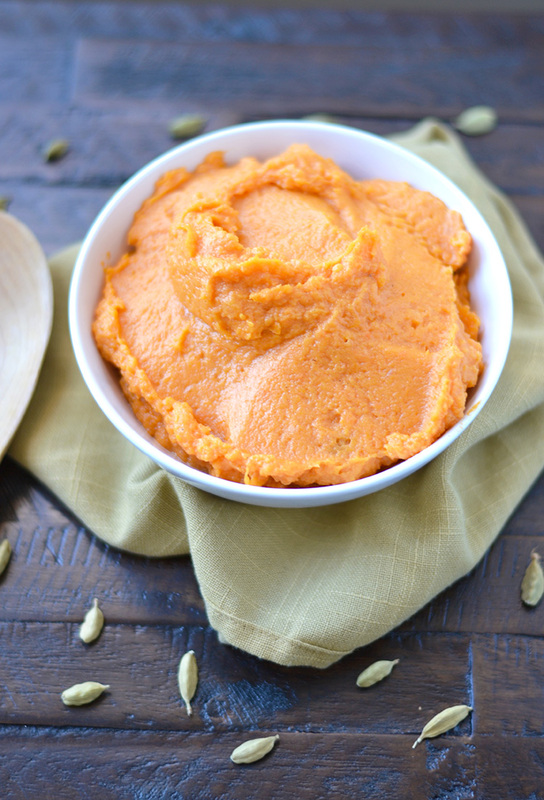 I wish I could take full credit for this lovely combination of floral cardamom and mashed sweet potatoes. This recipe actually caught my eye in a cookbook titled “The Gift of Southern Cooking” by Edna Lewis and Scott Peacock. I’m not particularly experienced in Southern cooking and know little about Lewis, a classic Southern cook. Her recipes appear both rich in taste and southern heritage, not to mention crave-worthy. Overwhelmed by the simplicity and potential for gluttonous glee, I decided to start with this somewhat basic side dish. Though slowly gaining popularity, Cardamom is still not as commonly used as spices such as Cinnamon, Allspice, or Nutmeg. I frequently use it in Indian food, especially full cardamom pods. I’ve always found it fascinating that this fragrant, perfume-like spice is easily used in both savory or sweet dishes. Cardamom can be a strong over-powering spice, especially when ground (so use it wisely). 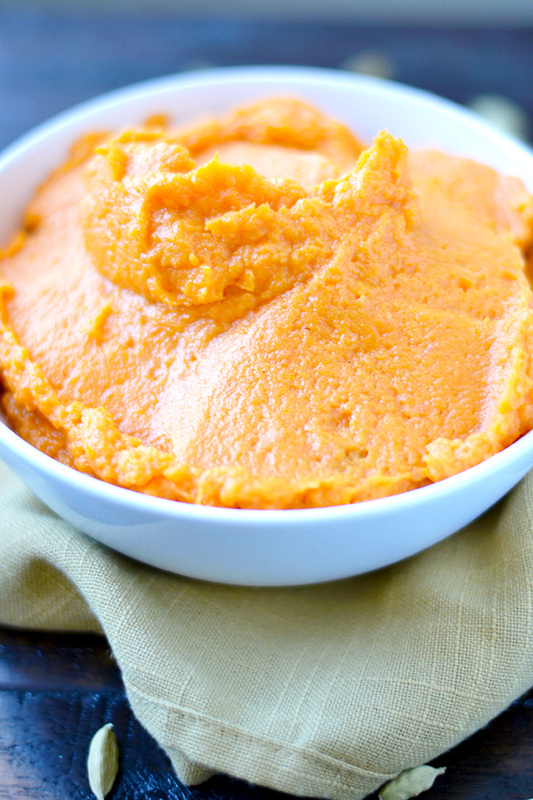 A little goes a long way in these creamy sweet potatoes. Paired with the rich butter and cream, the cardamom compliments the sweetness of the whipped potato and creates a side dish worth serving through Christmas. Put the sweet potatoes on a foil, parchment, or silpat-lined baking sheet, and bake in a the preheated oven for about 1 ½ hours, until very soft and tender. Remove from the oven and cool slightly. Peel the warm potatoes, and put in the bowl of an electric mixer. Beat the potatoes until mashed, and add the butter, 1/3 cup of the heavy cream, cardamom, nutmeg, and ½ teaspoon of salt. Whip until smooth and creamy – you may have to add considerably more cream. Taste carefully for seasoning, and add more salt if needed. Serve hot.